Welcome to the Burlington Edison High School Craft Fair website. We are in our 29th year of providing an outstanding venue for local artists and crafters to sell their hand made gifts and collectibles. 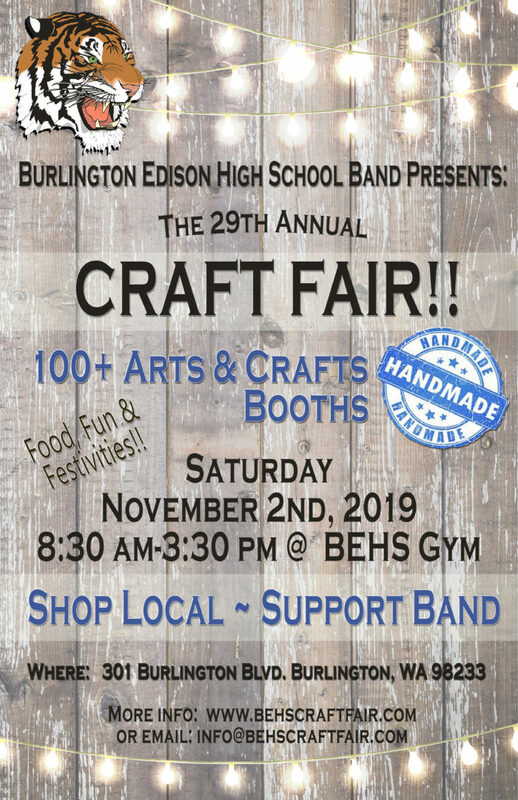 The arts and crafts for sale are just one awesome part of this event held in the Burlington, WA high school gym, cafeteria and field house. There are concessions, a raffle for fabulous gift baskets and volunteer opportunities for the students. The BEHS Craft Fair benefits band program’s for high school band. This includes uniforms, instruments, field trips and special instruction opportunities. Thanks for visiting our site and supporting BEHS band and local artisans and crafters.